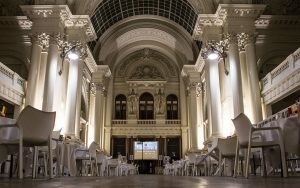 The Concours Mondial de Bruxelles (CMB) will be celebrating its 25th anniversary in 2019. 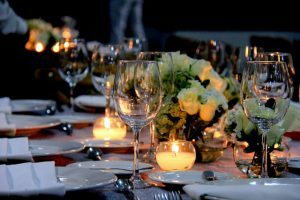 Its primary ambition is to provide consumers with a guarantee: that it will distinguish wines of unquestionable quality offering a truly pleasurable drinking experience, wines from across the globe and the price points. 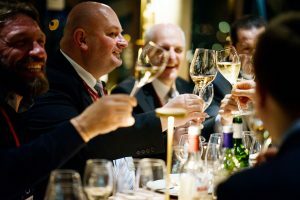 In 2018, more than 9,000 wines were tasted by a panel of 350 experts from around the world. 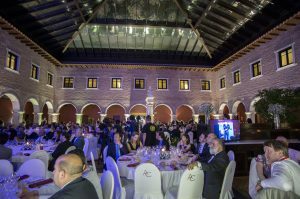 The competition is organized in a different country every year, with the objective of emphasizing its international character and enhancing exposure of the awarded wines. Since 2004, the organizers have worked closely with a team of researchers from the Statistics Institute of the Catholic University in Louvain in processing results. The CMB is one of the few competitions that checks award-winning entries the month after the results announcement. 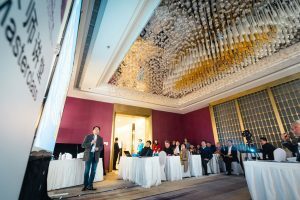 After Italy in 2015 and Bulgaria in 2016, Spain in 2017, China hosted the 2018 CMB in Haidian, Beijing, from May 11th to 13th. Next year it will take place in Aigle, Switzerland, from the 2nd to the 5th of May. Part of the CMB since 1999, spirits rapidly gained traction. In 2013, CMB organisers decided to split both competitions. “Spirits Selection by Concours Mondial de Bruxelles” has been independent ever since and is truly international in scope. 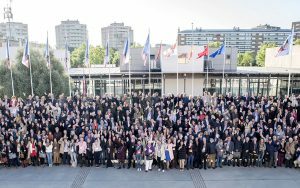 With the support of the CMB, “Spirits Selection by Concours Mondial de Bruxelles” has become the key international event for awarding accolades to spirits from all around the world. Whiskies, cognacs, rums, vodkas, piscos, grappas, baijus, tequilas, to mention a few, are evaluated and classified by a team of internationally acknowledged experts. After Taiwan in 2013, Brazil in 2014, China in 2015, Mexico in 2016, Chile in 2017, this major competition will travel to Plovdiv (Bulgaria), where a panel of experts will blind taste international spirits on August 21st, 22nd and 23d, 2018. 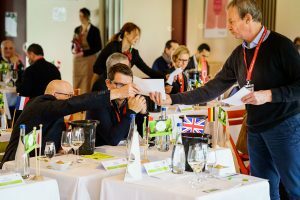 The objective of this international competition is to encourage the promotion of Sauvignon-based wines from both hemispheres, to boost production and sensible drinking, and to introduce the public to the extensive array of wines available. 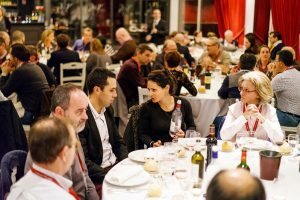 The Concours Mondial du Sauvignon is more than just a competition between producers and appellations. 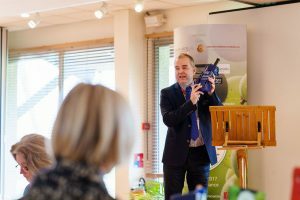 It is primarily aimed at fostering dialogue and creating a meeting point for industry specialists. A 9-member steering committee has been established to encourage dialogue around this international variety. 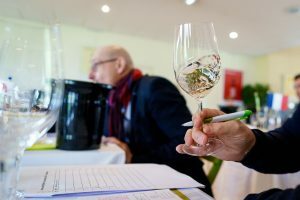 In March 2018, the 8thConcours Mondial du Sauvignon took place in Graz, Austria and 70 judges from 19 countries awarded 289 medals and 6 Revelation trophies. The complete list of awards is here. For many years now, Vinopres has been very active in Latin America, where its knowledge of the wine and spirits market is widely acknowledged. In Chile, the national wines and spirits competition “Chile by Concours Mondial” has been held every year since 2007. 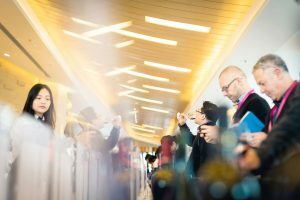 A panel of Chilean and international experts is invited to taste Chilean wines and piscos, in a three-day event in a major wine making region. The 10th event will take place in the region of Temuco in October 2017. Since 2003, Vinopres has coordinated the national wines and spirits competition “Brasil by Concours Mondial de Bruxelles” in Brazil. Also a touring national contest, it offers an opportunity for international judges to evaluate the production of Brazilian wines and spirits. The 16th event will take place in the region of Recife in April 2018. In Mexico, Vinopres launched in 2017 the very first edition of its « México Selection by Concours Mondial », national wines and spirits competition. 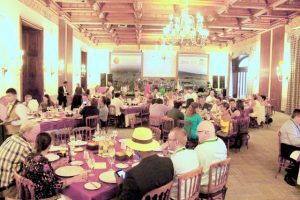 Held in Guanajuato state early September this year, this competition invited the best of Mexican Sommeliers, wine journalists and importers/distributors scene, as well and international journalists and Masters of Wines. 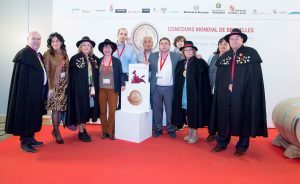 « México Selection by Concours Mondial 2017» provides with a state of the current Mexican viticulture, and the next editions will show the evolution of this bustling market. 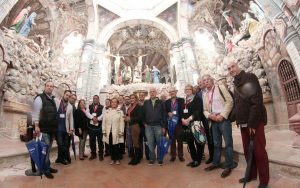 The 2018 edition will be held in Querétaro state. At the same time, other projects are being developed, namely in Brazil, Uruguay, Peru and Argentina. 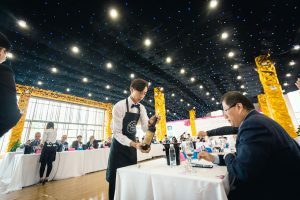 In collaboration with the Beijing International Wine and Spirit Exchange, Vinopres has since 2016 developed a new event dedicated to Asian wines and spirits, which will travel every two years to a different region or country in Asia. 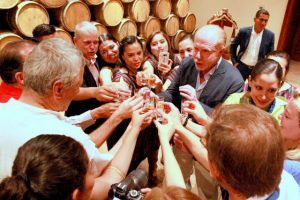 Its goal is to offer a vision of the region’s wines and spirits community, and improve access to Asia for lesser-known producer countries such as Armenia, Turkey and Georgia. 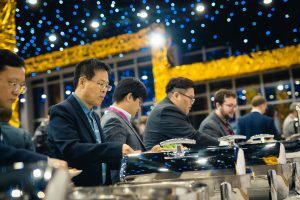 China, currently the region’s main driving force, was the obvious choice for organizing the first event in 2016. 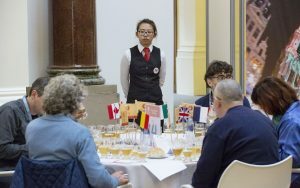 Almost 70 foreign guests —wine and spirits producers and exporters, journalists and writers, sommeliers and representatives of trade organizations— participated in a series of 24 conferences and master classes which allowed them to tour this vast continent and learn about Asian wines and spirits. The next event will take place in 2018. In the world of malt, Belgium enjoys a first-rate international reputation. It is therefore only logical that our country should host one of the most influential international beer contests in the world. 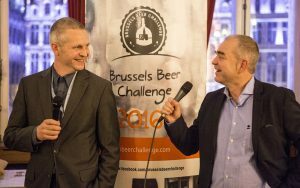 Supported by BeComev, a partner of Vinopres, the “Brussels Beer Challenge” celebrated its 6th anniversary in 2017, at Namur. 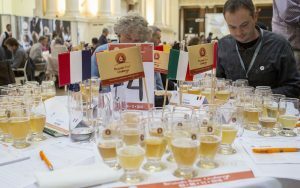 In November, a panel of 80 international experts met to judge 1,250 beers from around the world. 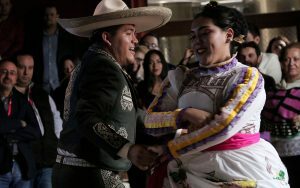 The BBC aims to promote quality beers and healthy competition between producers, offering consumers a quality endorsement by professionals, and beer producers a promotional and marketing tool.